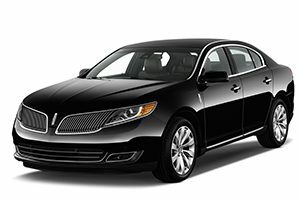 Lincoln MkS, the classic car for executive black car service. Providing comfortable seating for up to three passengers, these cars are air-conditioned, plush leather interior and dark-tinted windows, reading lights. Perfect for picking up important clients from ATL! 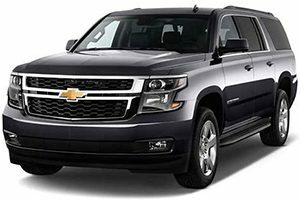 Our Chevrolet Suburbans fit seven people plus luggage, and is air-conditioned, has plush leather interior, dark-tinted windows and reading lights. Perfect for any kind of executive transport service! 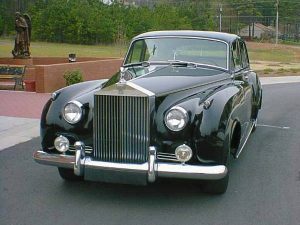 1959 Silver Cloud Rolls Royce: What better way to make an entrance than in a 1959 Rolls Royce? This swanky car is perfect for prom, weddings, engagement parties, or even for a surprise anniversary ride for your sweetheart. 14-Passenger Van Service. Comfortable seating with air-conditioning is an ideal choice for providing transportation for a small group. Perfect for heading off to a team-building activity, seminar, or to take a wedding party to the ceremony! 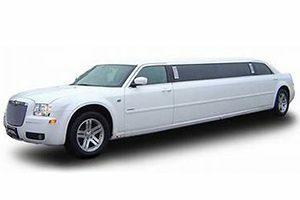 10-Passenger Chrysler 300 Stretch Limousine Service. Travel like a star in this classy stretch limousine. Limo services are perfect for weddings, quinceaneras, prom, and other fun events. Relive the elegance of Royal England of the 50’s in the limousine that transported the King and Queen. You cannot help but feel like royalty while being chauffeured in this exquisite vehicle. This is a great alternative to a wedding limousine for those looking for something with a more vintage and unique feel. Available to rent for weddings, special occasions and those times when the absolute ultimate motor car is required. This fine classic has been fully restored to better than original showroom condition. Its seventeen coats of hand-rubbed lacquer and its new Connally leather interior combine handsomely with the new engine and accessories to provide the finest example of this classic marque. 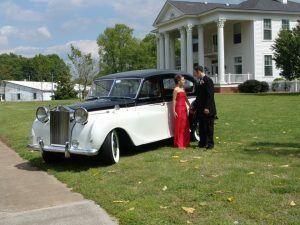 This is a great alternative to a prom or wedding limo service for those who wanting something with a vintage feel. 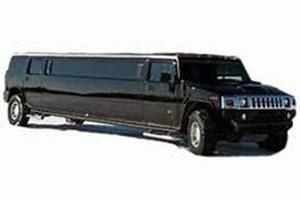 Available to rent for weddings, bachelor/bachelorette parties, and special occasions, this Hummer limo rental has a plush leather interior and is ready to handle whatever the night throws at it. Party in style in with our Hummer limousine service in Atlanta and the surrounding areas. 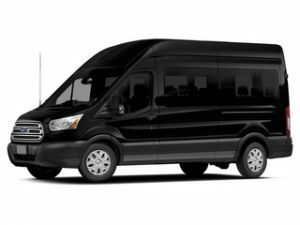 Our 23-passenger mini bus and 41-passenger mini coach are ideal for smaller groups. The amenities include TV, DVD player and CD player/ radio, reclining seats, armrests, footrests, luggage space and overhead luggage storage. Whether you need a party bus rental for the night or simply need to transport a wedding party to a scenic location, this bus is perfect. 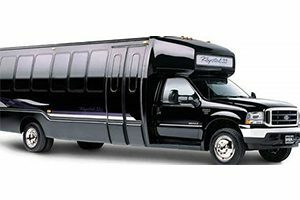 It is also an economical option for small group charters, wedding transportation, property tours, short distance trips, airport transfers, and conventional shuttle service. This bus is a party on wheels! Our 40-passenger limo party bus rental / executive motor coach features a 42” plasma TV, six 9” flat-screen LCD monitors, mood lighting, Direct TV satellite system, surround sound system with IPOD-compatibility, hardwood floors, strobe lights, DVD player, large bar, laser show, electric lighting, three deep coolers, bathroom and separate seating for bartender and large luggage area. 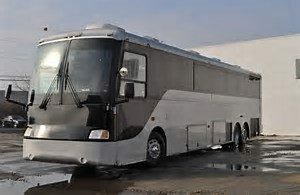 This vehicle is the ideal party bus rental for proms, family reunions, city tours, tailgating when your favorite team is in town, weddings, sweet sixteen parties, quinceaneras, corporate launch parties, and any other special occasion.